eFiction is a story archiving system first created by Rebecca Smallwood (v1.0 & v1.1) then later updated by Tammy Keefer (v2.0 and beyond). To see an example of it in action, click here. 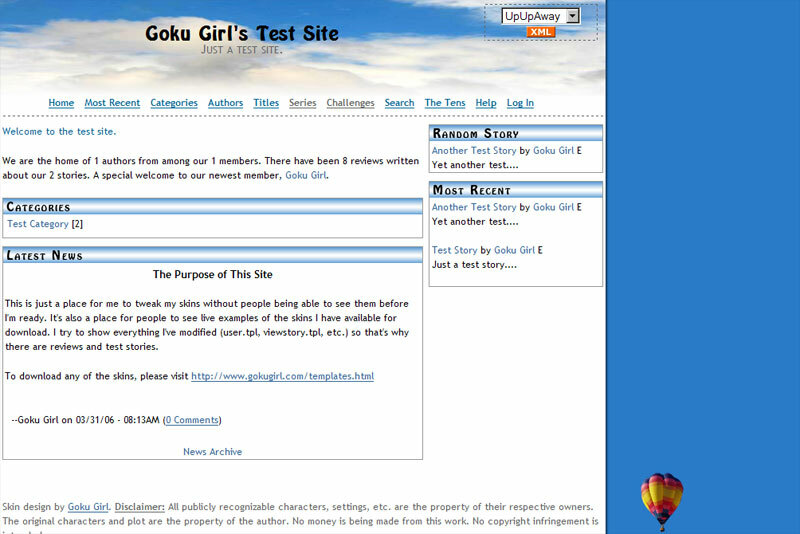 It's not required to place one of my banners from the template page on your site to use these but I would like for you to keep my text copyright in the footer with a link back to http://www.gokugirl.com. You can change the position of the copyright or reword it however you wish. I recommend you at least glance at the readme included with each skin. Sometimes I include interesting tidbits about my inspiration, a copyright notice for the images that aren't mine, or ways to custom-tailor the skin to suit your needs. If there's something wrong with a skin be sure to tell me about it either by e-mail or via the forum. Click on a thumbnail for a larger preview image (they open in a new window). Feel free to modify these skins however you want since I'm of the strong belief that one size does not fit all. If you would like for me to do a skin design especially for you, or if you just have an idea that you think people would like, feel free to contact me. 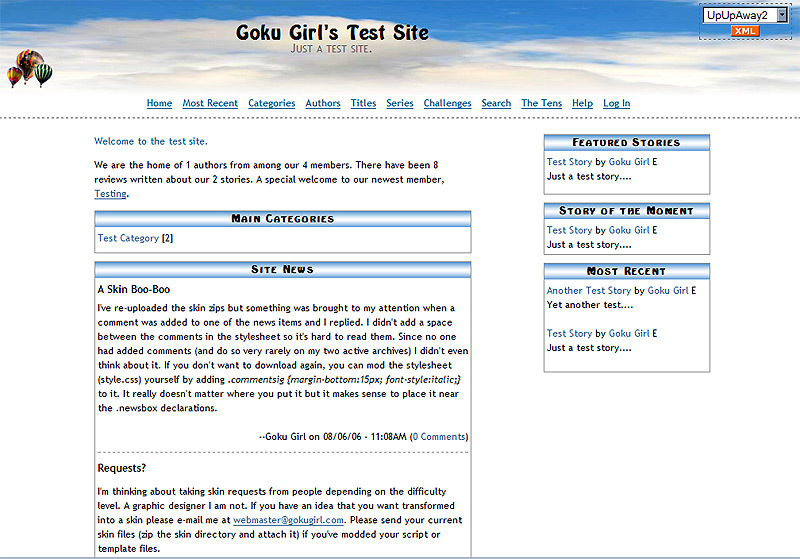 A Note About Skins With Different Designs In Different Browsers: Sometimes my design idea doesn't translate well to Internet Explorer so the design in this browser will vary somewhat from the design seen in Firefox, Netscape, and Opera. This is because IE doesn't render CSS the way it's supposed to. Just about every CSS designer complains about this, but there's not much you can do except plead with the IE development team to finally get their act together. So far only Colorblocked #3: Marine, Silver Vegeta, and Plastik Blue are majorly affected. I still have to alter Marine and Silver Vegeta for IE7. I've only chosen a few 2.0 skins to update to 3.0 (Dark Water v1; Liquid Steel; Silver Vegeta; Up, Up, & Away v1 & v2). If you want something converted that's not in this list, please contact me. Colorblocked: (text only; quick-loading and easy to modify) #4 isn't available yet. I now only create skins for this version upon request.